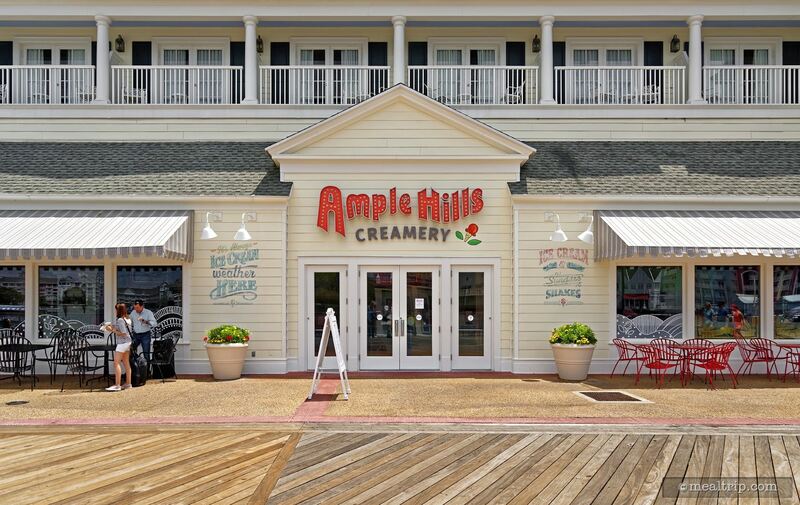 The Ample Hills Creamery interior is a colorful addition to the Boardwalk, but is smaller than the Brooklyn location. In true theme-park fashion, there are metal stanchions that form patrons into a line, where you can order and pay for your ice cream... and get out. A few tables are available just outside the location. 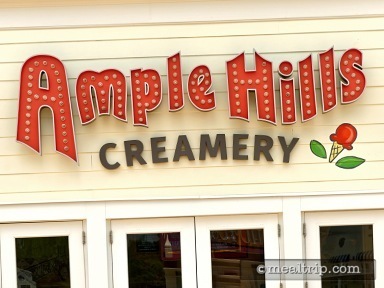 The ice cream is clearly the star attraction here, and it is a premium ice cream... the focus being generous and flavorful "mix in" type of creations. Small cups and waffle cones are available (along with other sundaes and such) but the "smalls" allow you to go back and try other varieties! 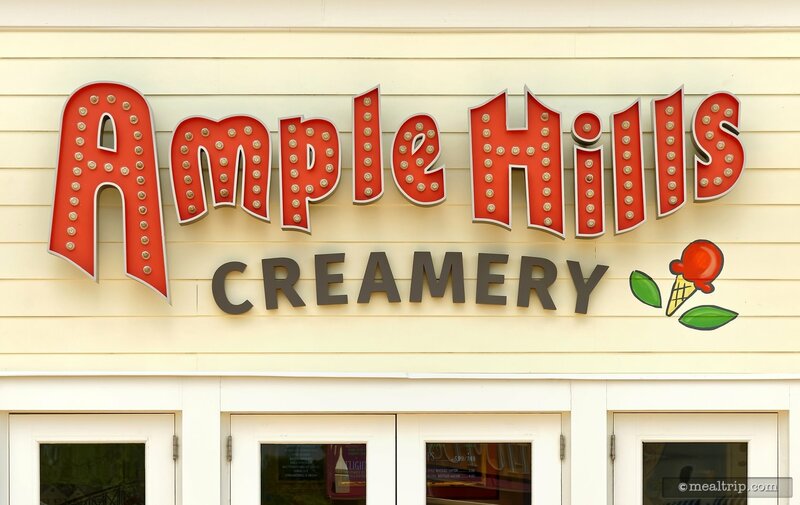 Options like Butter Pecan Brittle Ice Cream with Dark Brown Sugar Ice Cream and Pieces of Housemade Roasted Pecan Brittle or the Malty Salty Pretzel Punch Ice Cream made with Chocolate-covered Pretzel Pieces... selection which ice cream you want to try, seems to be the biggest issue here! There are also a few "adult" creations like a Lemon Sky Prosecco featuring Ruffino Prosecco paired with a scoop of Lemon Sky Sorbet!